Got an idea or a question you'd like to talk over with someone? Something you need or want to do but you're not quite sure how to go about it? Feel free to contact me & we can throw some ideas around, just for fun. (I like that kind of stuff.) You can decide later if there's any point in hiring me to do any "official" work. OR email me here using this form. **If you'd like a return phone call, be sure to include your number. "Besides being trustworthy, consistent and reliable, Ben Ellingson has delivered an exceptional product. When working with Ben, he had our company's best interest at his heart and gave us sound advice and connections for getting a job done. He was very professional, practical and kind. I know Ben to be a person of integrity, vision, and performance, and I enthusiastically recommend him." Web Design means the content of a site is well-organized and presented effectively. Learn more about my web design work. Web Development refers to the process of combining compelling on-screen design elements with appropriate behind-the-scenes features to make innovative & dynamic web pages. Why do that? eBook Formatting can begin with virtually any kind of digital file & quickly result in your book's availability through a number of different platforms, such as Apple iBooks, Amazon Kindle and Barnes & Noble NOOK books. Learn more. Traditional Print Media Layout skills go hand-in-hand with Web Design & eBook Formatting. I've worked on a number of book designs as well as commercial & fine arts projects including cards, calendars and even large-format high-quality art prints. Explore further. In case you wondered what the letters MAEC after my name up at the top stand for that'd be Master of the Arts in Eastern Classics. Before I ever heard of HTML, CSS, SQL or ASP I studied the very challenging Sanskrit language in graduate school at St. John's College in Santa Fe, NM. I live right on the edge of downtown Montpelier with my wife Amanda and our son Cale. We began 2011 by leaving what we thought was the best small town in America (Decorah, Iowa) and moved to Montpelier only to learn over the past couple years that our previous hometown was actually only the second best small town in America:)) I continue to do web, marketing & publishing work for artist & storyteller Brian Andreas & his StoryPeople company even after moving over a thousand miles away from company headquarters. We initially came to Montpelier so Amanda could become more involved with the North of Eden archetypal dreamwork organization. While I sit in my basement office and work to build & revise websites, create content for Kindles & iPads and try to come up with a few fun new marketing angles, Amanda works & runs while Cale attends third grade at Union Elementary. There's a comfy couch to sit on in my home office or plenty of fine coffeeshops right around the corner, so if you ever wanna get together to discuss a project, please feel free to contact me up above or email me at Ben@futureofdust.com and I'm sure we can figure something out. See you then! 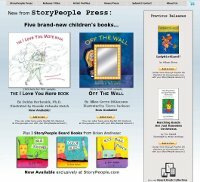 I've been in charge of the day-to-day content maintenance of the storypeople.com website since the beginning of 2008. Since I assumed that role with StoryPeople, I have also built (and continue to maintain) the subsidiary StoryPeople Press & StoryPeople Kids websites, worked on the team that created the Public Zoo animations website and set up the PeopleStories Wordpress blog. Among other responsibilities, I also maintain the StoryPeople eBay store and their various Amazon seller accounts. In recent years I've had the opportunity to build a couple websites outside of my work with StoryPeople. This really started with my parents, who decided to take a sabbatical in 2010 to begin the project of documenting America's National Parks using modern digital large-format photographic techniques. When they asked me how I thought they should go about presenting & selling their works online, I suggested they let me build what is now the bruceellingson.com website. I followed that project with the communal "surrealist exquisite corpse" poetry site known as Cute Cadaver Poetry. Which brings us to the present. During that time we've moved from Iowa to Vermont while I've continued working on the websites mentioned above and now I've begun my latest new web project: futureofdust.com, the one devoted to giving me the chance to talk with you right now! Technically speaking, I like to code from scratch, so I never start with a template, just an idea of what needs to be done and a blank slate to do it on. I generally start by creating something, get some feedback from the other parties involved, then adjust and proceed accordingly, repeating the cycle until everyone is satisfied & our work is ready to go live on the web. This is the process that has resulted in the works listed above & I welcome you to contact me if you think you might be interested in having me put my skills to use on your behalf. I started making eBooks in 2008 with Brian Andreas' Peculiar Times for the Kindle and haven't stopped since, most recently completing the Kindle version of Marc Bregman's Dreaming Metaphysical. 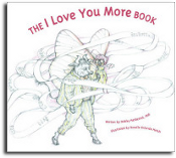 Along the way I've added the creation of files for Apple's iBooks and Barnes & Noble's NOOK books to my eBook repertoire. 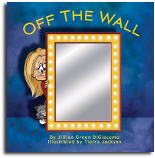 Many of the projects I've completed are filled with digital renderings of drawings & painted pictures which has led to the completion of some beautiful fixed-layout full-color children's books for the iPad. Below are cover images representing the eBook projects I've completed to date. Hover (or tap-hold & "open" on the iPad) on any of the book images below and a box with a link to the book's publisher along with links to all the online venues where the eBook is available for download will appear. At this point, as per client requests, I am regularly converting books to both .prc (for Amazon) & .epub file formats, with fixed-layout .epub's for iBooks when appropriate. I came into doing traditional book layouts only after I'd been formatting eBooks for awhile. It was a natural step. A little more design-oriented and not at all about the computer code, yet requiring rigorous mathematical precision. In fact, the meticulous layout aspect is something I enjoy & may be more my strong suit than the design part. It's hard to say. Of the eight books I've worked to produce for print publication so far, I have collaborated with a design team on all of them. My job, specifically, has been to see that the visions of others have been brought to fruition in the creation of final print-ready cover & content files, the PDF and image files that ultimately get FTP-ed to the printers. As far as the production of finished, print-ready files is concerned, during my time with StoryPeople I've had the opportunity to produce prints, calendars & greeting card sets in addition to the books. I also understand the complexities involved in super-high-quality large-format fine-art digital print making. That is no easy task. With the variety of papers, printers, inks & computer programs providing near infinite avenues for adjustment, it is a serious challenge to get it all right and to get the final result perfect. Yet, having seen plenty of inferior test print results, I dare say my father's methods of printing his American Landscapes for bruceellingson.com have been fine-tuned to near-perfection. Even though I consider myself more of a Web & eBook guy, I'll be starting the layout for book number nine here any day now, with other print projects to follow. If you're looking for help with any print-media projects that require digital design work, precision layout and/or final print-ready file preparation, send me a note, tell me what you need. I'll get back to you as soon as I can. Who knows... I might be just the guy you're looking for. Check this box to CC yourself. While the design of a web page is integral to its effectiveness, in the end it just has to do its job. Some pages don't need to work beyond communicating ideas or information in a well-organized and/or eye-pleasing fashion. Other web pages, however, actually have "dynamic" tasks to be performed. To me, the most crucial part of Web Development is not strictly about fancy computer programming. It's about having a well-developed & sound plan of action & the committment to carry it out. Development means meeting the needs that need to be met. If your goal is to make online sales, will you need to develop a customer base? Or maybe establish a new avenue of communication with an existing one? One very effective form of online marketing is the development and use of an email subscription list. So, in order to meet our goals, we may need a sign-up box, right? Defining goals & implementing the means to meet them. That's Development. I have the skills & experience to help with both the Real World & the Computer sides of Web Development. Beyond that, a useful plan might also integrate analytics tracking, adwords campaigns & search engine optimization to go along with the excitement of interactivity & the potential importance of growing a customer base... and that's not to mention the social networking. You've already got your Facebook Fan Page and your brand's Twitter feed well-established, right;-? Well, either way, you know where to find me if you think I could be of any service. or "change" when new data is entered are just more fun!